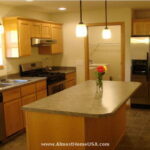 This beautiful, spacious three-bedroom, fully furnished house in Madison, WI is in an outstanding location of Madison, WI. This is a modern, upscale home in . . . Details are not overlooked at these Madison corporate apartments. Our one and two bedroom apartments include central heating and air condition, walk-in closets, full size . . . 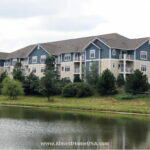 Almost Home Madison corporate housing offers one and two bedroom apartments located on the far east side. 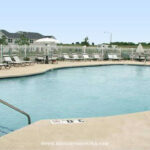 Enjoy free tanning, an outdoor heated pool, hot . . . Almost Home’s Madison temporary housing enjoys a serene setting, surround by 7 acres of wooded trails and park-like scenery. Located close to downtown and . . . Almost Home’s Madison corporate housing residents will find dwelling in this beautiful, lake-surrounded city an experience they will not soon forget. It is large enough to offer all of the dining, shopping, and entertainment options of a large city, yet small enough to maintain a small-town atmosphere. “In addition to its small-town nature, the city also carries sort of a classical European feel as well as a historically liberal, alternative bent,” says Madison resident Erik Frie. While Madison would not be characterized as a tourist hot spot, there is still much for residents to do in the city. The Mendota Lake and Monona Lake that beset either side of downtown are described as the city’s best kept secret. They offer unlimited sailing, fishing, and general natural beauty just steps from the downtown. Downtown is home to the famous State Street, where you will discover a wide variety of intriguing shops and dining choices such as Takara (Japanese), Zamba Brazillian Grill, and Hawk’s Bar and Grill. You can’t go wrong traipsing through this eclectic pedestrian mall. In the summer, there are several local events and attractions for the Madison temporary housing resident. The Madison Farmer’s Market (AKA Dane County Farmer’s Market) is the largest producer-only farmer’s market in the state of Wisconsin, and much more than produce is sold there. “It is a kind of happening thing in the summer,” recounts Erik. "There is entertainment, Amish wares, bakery goods, and much more." Also, if you happen to be in Madison for the Fourth of July celebrations, you will definitely want to attend the regionally well-known Rhythm and Booms Festival—a choreographed fireworks display that happens over the lakes. Break out of your Madison furnished apartment in the fall and head west of Madison to enjoy the serene countryside in its fall splendor. Another popular fall location is Spring Green, home of the American Players Theatre, House on the Rock, and Taliesin. For the more adventurous autumn reveler, State Street hosts an annual Halloween party called Freak Fest, which has been described as Madison’s Mardi Gras. In the winter, tenants in corporate housing Madison WI can try out the city’s winter activities. The nearby parks offer many cross country ski trails, and the Madison Parks Department maintains 12 open-to-the-public ice skating rinks in various locations throughout the city. Looking for something a little warmer? Check out the live music at the High Noon Saloon, the best possible place to go for live music! La Brioche: True Food - "Best coffee and brunch around!"